"RuPaul's Drag Race" made history as it premiered as the first-ever reality television show featuring drag queens. And on the heels of its most successful season yet, Logo has ordered a fourth season of its original competition series. RuPaul, the world's most famous drag queen, has pushed the boundaries of popular culture on an international level and will be back to search the country for another drag queen superstar in the making. On the first three seasons of "RuPaul's Drag Race," thousands applied but only a handful of the nation's hottest, most glamorous drag queens were chosen to fight for the title of "America's Next Drag Superstar." 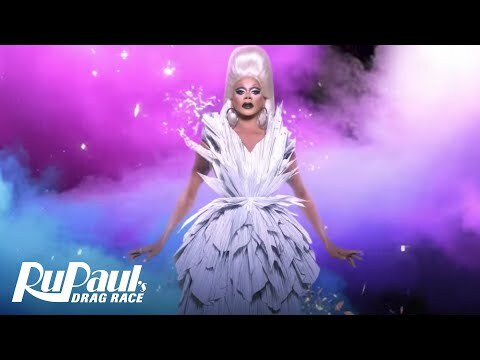 "RuPaul's Drag Race" took a look at the outrageous world of drag, it also revealed the courage, perseverance and humanity of men who have overcome and endured the hardships of a masculine dominated society that mocks and makes fun of men who act like women. Not only did viewers get a bird's eye view of what it takes for these chameleons to transform themselves but were also able take away the secrets of the artistry of drag.